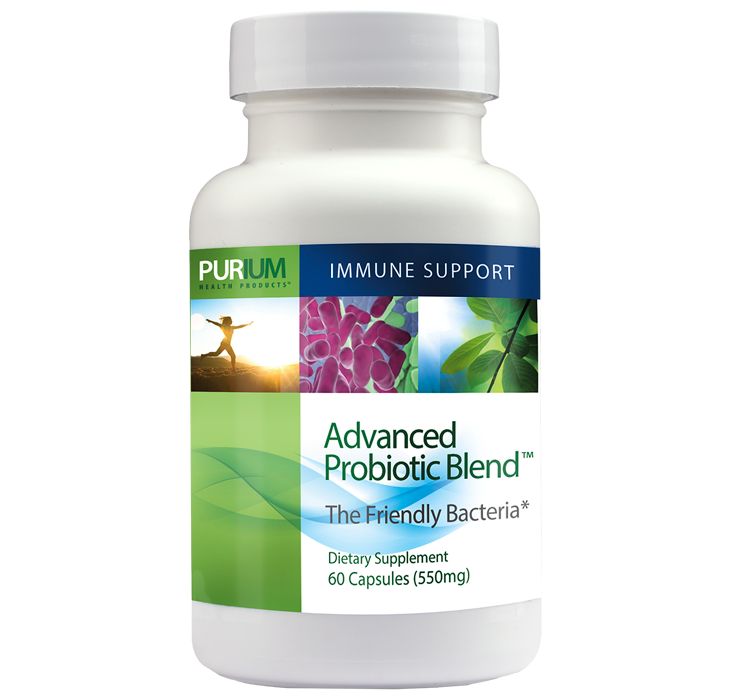 What is Advanced Probiotic Blend? Advanced Probiotic Blend is a potent, all-vegetarian blend of healthy bacteria that promotes digestive function, nutrient absorption and healthy gut flora. L. Gasseri: This probiotic strand has been studied for it effect on weight. A study published in the Korean Journal of Family Medicine found that it could help support weight management. The strand has also been connected to the prevention and management of bacterial infections, such as H. pylori and candida. B. bifidum: Studied for its ability to assist the synthesis of B-complex vitamin and vitamin K, b bifidum is one the most well-documented probiotics. This strand has showed promise in studies relating to immune defense, digestion and liver function. B. longum: Like other probiotics, B. Longum can help support the immune system. Studies have also shown the probiotic can aid the body’s response to inflammation and may even support better mental health and the appearance of skin. L. paracasei: Studies for this probiotic strand show that it may support immune function and support healthy gastrointestinal flora. One study also suggests L. paracasei can help support dental health. Lactospore®* (B. coagulans 15 billion cfu/g): This well-researched probiotic strain withstands the acidic environment of the stomach, encouraging healthy digestion and overall gut health. Fiber Gum: This soluble fiber from the sap of the Acacia senegal tree is known as a prebiotic, healthy bacteria that support probiotic function. *Lactospore® is a registered trademark of the Sabinsa Corporation. The National Institutes of Health (NIH) recognize the prevalence of digestive issues and the health of the gastrointestinal (GI) tract. From digestive discomfort to a compromised immune system, our bodies can suffer from imbalanced gut flora. While the gut microbiome needs “good” bacteria to help regulate certain functions, other “bad” bacteria can be detrimental to its system. It can be difficult to maintain a healthy gut, especially with antibiotic consumption, toxins, bacterial infections, environmental changes and improper diet. Thanks to scientific strides in studying the microbiome, the role of probiotics has become increasingly important in maintaining a healthy gut. Purium recognized this and found a solution with Advanced Probiotic Blend. This specially-designed blend was created to help support the immune system and restore “good,” friendly bacteria in the gut. While many probiotics require refrigeration, this blend is shelf-stable and does not share that requirement. If you have a medical condition, are pregnant or breastfeeding, consult a medical practitioner before consuming any dietary supplements. To purchase Advanced Probiotic Blend, click here. These statements have not been evaluated by the FDA and were not intended to diagnose, mitigate, treat, cure or prevent any disease.